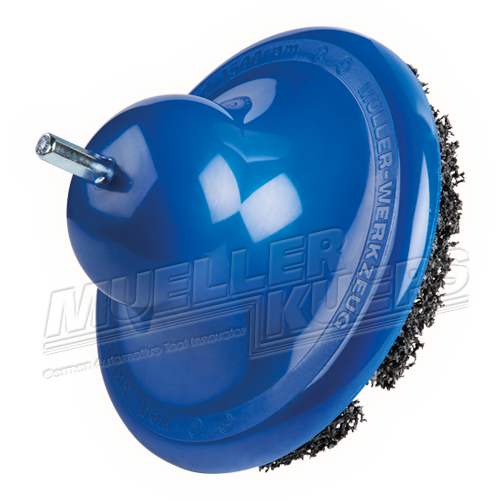 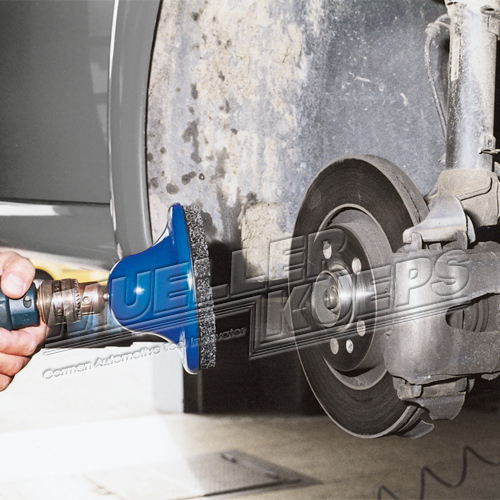 Special grinder for cleaning the wheel and hub contact surfaces. 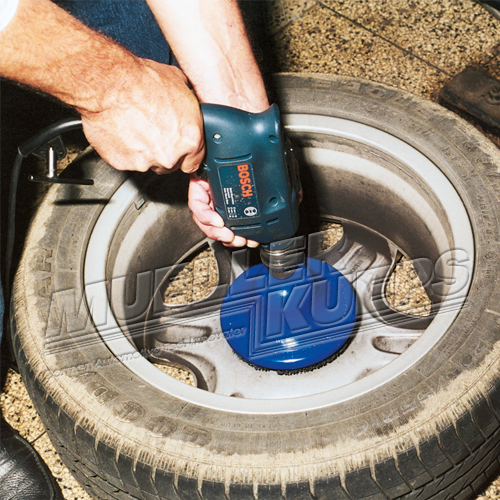 Burned in corrosion residues are completely removed in a quick and easy process. 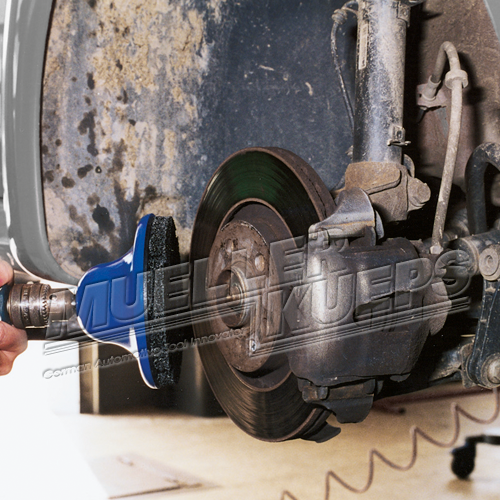 Actual process time per hub is about 3 – 25 seconds depending on thickness of corrosion.